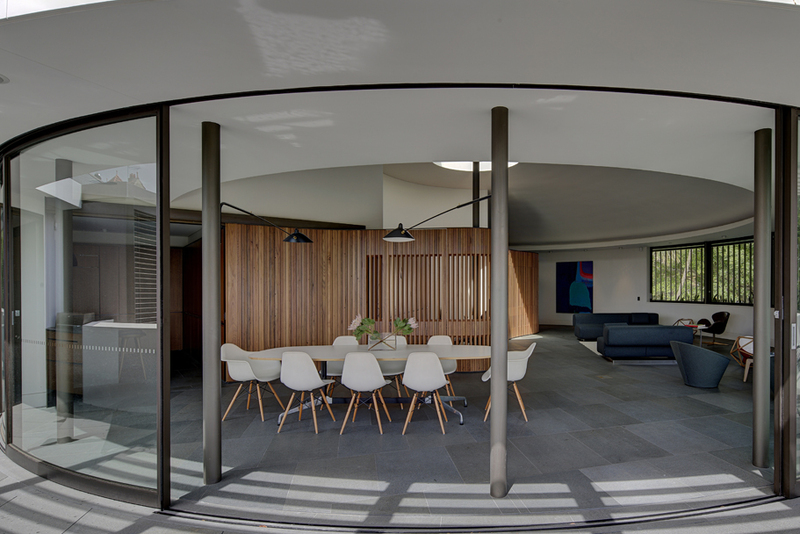 This project embraces a circular plan form which presents challenges in achieving the manufacture of glass to create the open plan layouts which maximise the connection of inside and outside spaces. 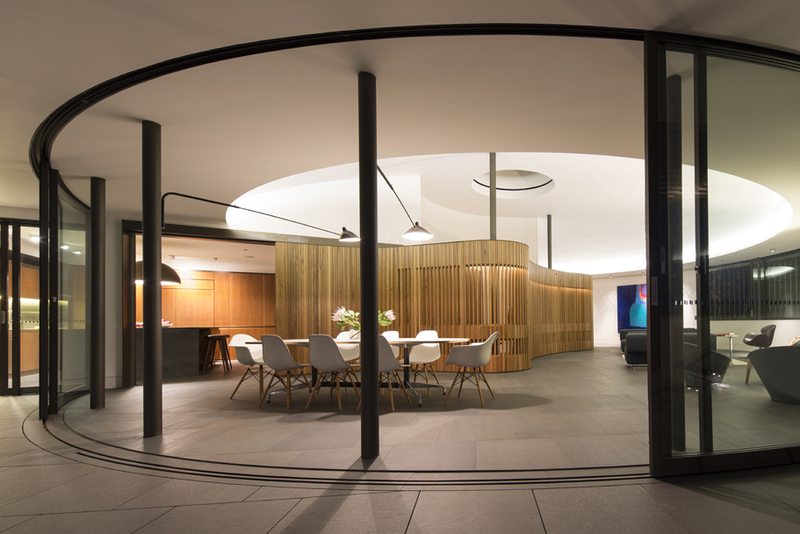 Extensive use of bi-sliding, stacking curved sliding doors and windows are a feature of the design. 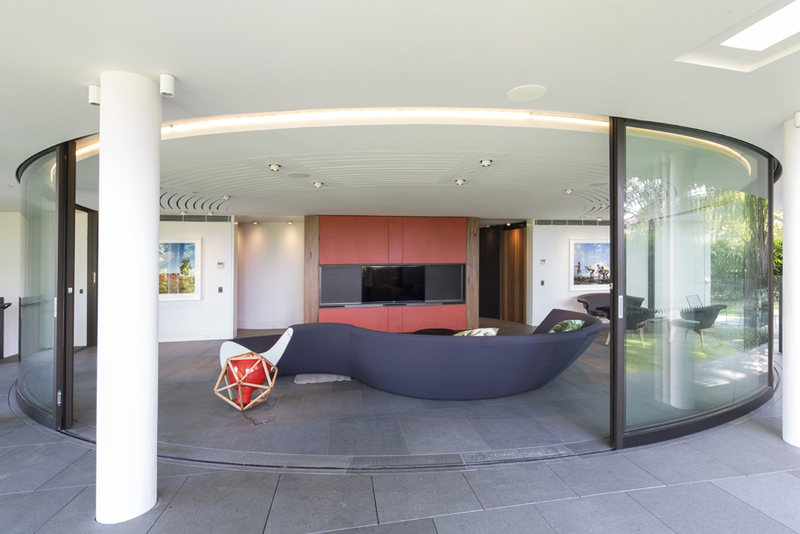 This required the accurate manufacture of oversized curved glass elements to be integrated into a bespoke sliding track and frame system. 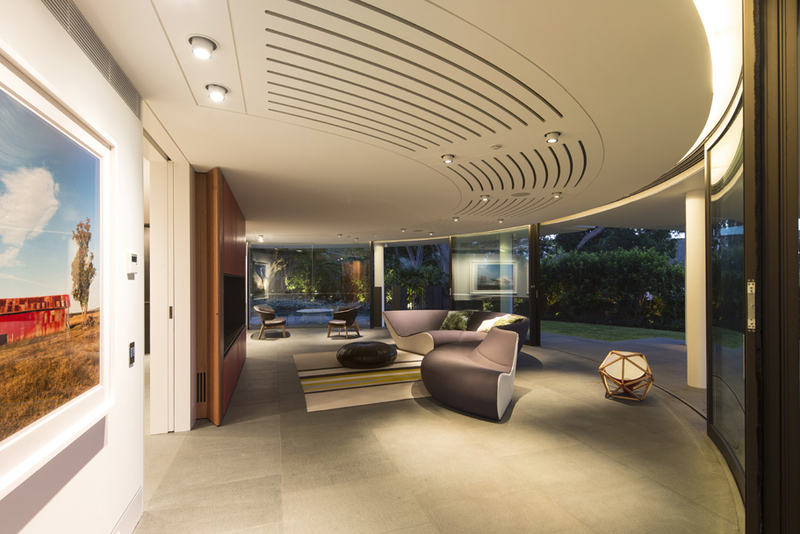 Fine dimensional tolerances were required for the effortless smooth operation expected for this high end residential application. 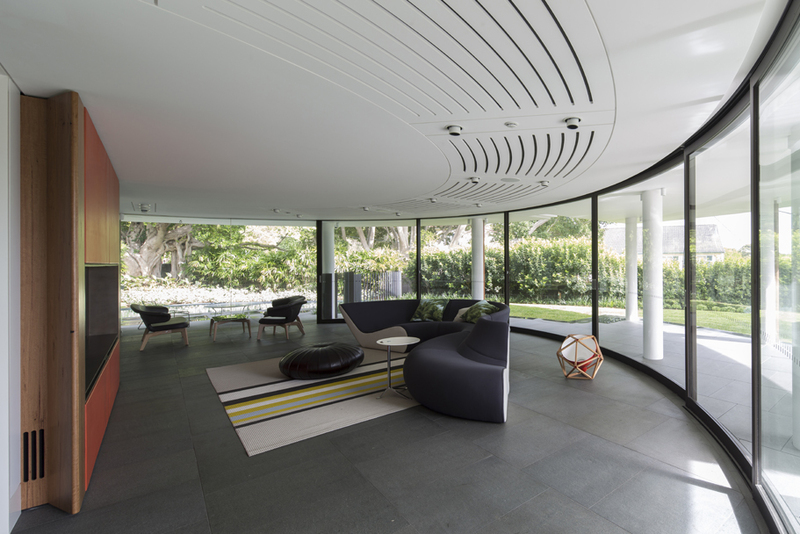 In addition to operable panels, fixed curved glazing included a feature serpentine glazed wall at the main entry gallery and white translucent curved glass to bathroom areas. 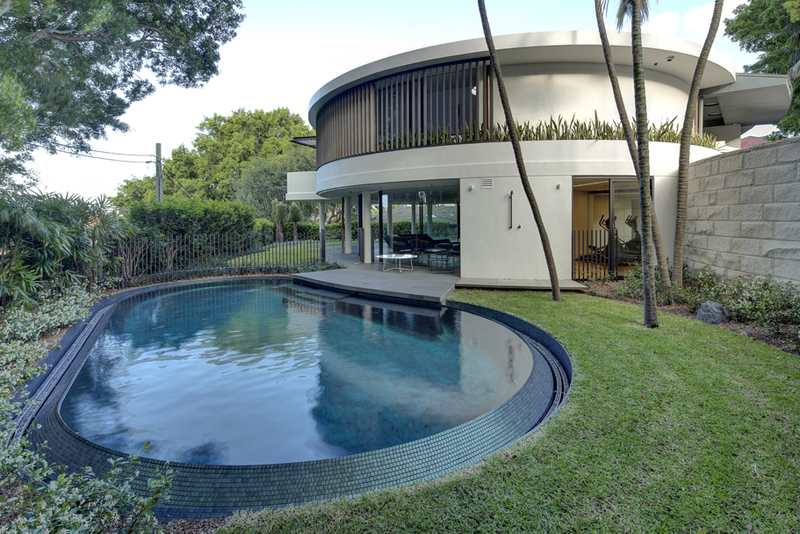 Curved glass represents one of the major defining elements of the project working to enhance both the function and aesthetics of the architects design. 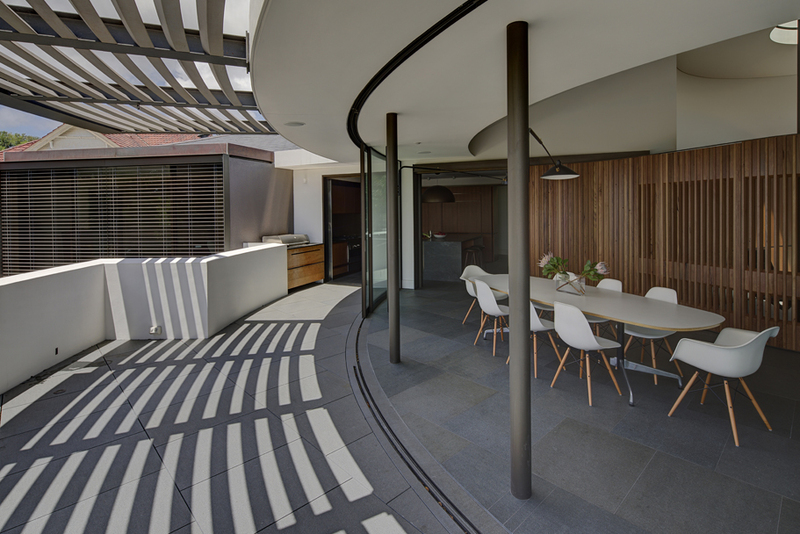 The project has gone on to receive a commendation in the Australia Institute of Architects NSW Chapter Awards for “Residential Architecture Houses – Alterations and Additions”.